If you believe those myths, try renting a movie from Blockbuster. 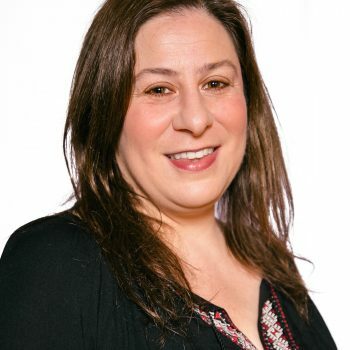 Manfredi, who spoke at the May 3 monthly meeting of Women Grow-Ann Arbor, has been involved with a broad range of marketing-related issues from a global executive level for over a quarter century. 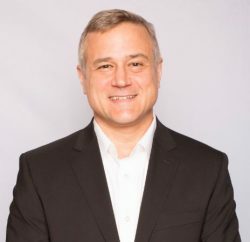 He is currently a mentor in residence at the University of Michigan’s Office of Technology Transfer and an adjunct professor at the Lawrence Technological University College of Management. He founded Rain Dog Management in 2016 to promote small and medium-sized businesses. According to Manfredi, sales and marketing is part science, part art, but, most importantly it is a process that can be followed for successful results. The science part is more of a front-end activity where marketers use data to identify and classify potential markets and channels for a company’s products or services. This market analysis is deeply scientific and quantitative, which helps guide the art side of marketing. A company can design the greatest images and messaging, but if it is aimed at the wrong people or distributed through an incorrect channel it could be less successful than expected. Creating a solid brand is all part of the marketing process, which often begins even before you have a product or service to sell. Marketing starts way before there is a product or service and is responsible for identifying the overall market, alignment of the product positioning to these market segments, and making sure that the brand promise is clearly communicated. Often ideation is the first step. At this stage you are looking for quantity not quality as your marketing process will guide you to a vital few ideas that can be productized. In conjunction with ideation you need to be looking at the overall size and demographics of your market. One area for concern is having too many or not enough products in the product pipeline. Another issue is coming up with an idea that can’t be produced at the right volumes if at all. Marketing has to be in strong alignment with product development and production to make sure the ideas can be executed on time and on budget. Fulfillment is another key to the pipeline because you want to avoid missing deliveries to your customers at all costs. The converse of that is having too much product, which can hurt your cash balance and cause you inventory and storage issues. One critical aspect of the plan, often overlooked by companies, is competitive analysis. Depending on what industry you are in, Manfredi says, obtaining competitive information can be easy or difficult. Once you identify your competitors you should create a win strategy that explains how you will beat them. You should also understand how big the overall market is; in marketing speak, that is your TAM, or total available market. From there you need to take another cut and get to your TRM, or total relevant market, which are the people who could actually buy your products or services. This process needs to be data driven and as accurate as possible because it could be disastrous if you think your market is smaller or larger than it actually is. Manfredi insists on the importance of being genuine and engaged if you want to achieve success in social media marketing, where the goal is to create a two-way conversation with your customers. This conversation has to be relevant and honest. You also need to make sure you take the good with the bad. If you have a customer panning you on social media, you should address it in a professional and direct manner. You don’t want to hide bad information by deleting posts or taking a defensive posture online. In addition, you need to produce consistent and interesting content that reinforces your brand promise and company messaging. Social media is a great messaging channel but it can get out of control quickly if you are not managing it. We suggest creating social media guidelines for your brand, then having a full-time person who manages your social channels and posts content and commentary. Social media is interactive, and it is not supposed to look like advertising. With product distribution, you need to visit your target customers to find out how they are comfortable buying. The Rain Dog Management team look to their own buying habits as well. And pay attention to how your market works. In craft beer for example, it is a three-tiered system where the manufacturer must sell to a wholesaler that then sells to the end customer. When you are managing a model like this you have to pay attention to your pricing because every extra step in a distribution chain adds a markup to the price. If you get this wrong you could be charging too much or too little for your product. 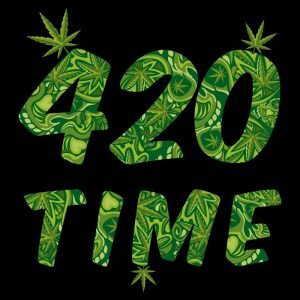 He stresses the importance of knowing your market and warns cannabusiness owners that the stereotype of the cannabis demographic is way unrepresentative. Thus, if you market only to the stereotypical customers, you will miss the increasing mainstream community. One of the biggest challenges in marketing to the cannabis demographic is correct segmentation especially as this market shifts to a wider audience. 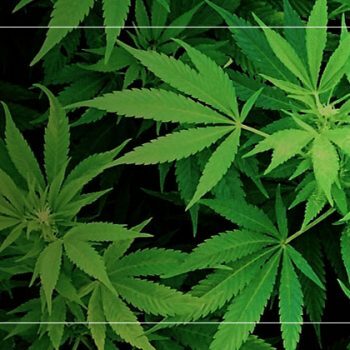 A single cannabis product can be targeted at several different types of customer based on what the customer is looking to achieve with cannabis. This diverse customer base and wide array of use cases make it complex and difficult to ensure you are reaching the right people at the right time, with the right message. Ken Wachsberger, editor of Bloom Blog, is an author, editor, and book coach and the founder of Azenphony Press. He is the author of the just-released Ken Wachsberger’s Puns and Word Plays for the Job Seeker. Previous Post CANCELLED! Women Grow Networking Meeting This Week! 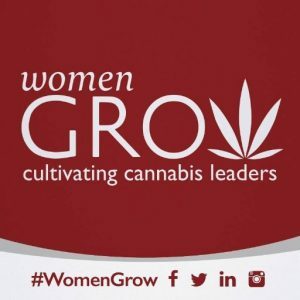 Next Post Come to the August Women Grow Meeting!